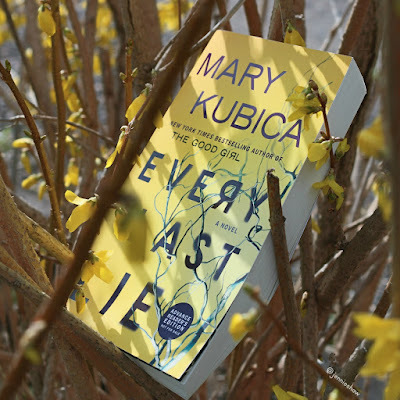 I nearly lost my mind when I first heard of Mary Kubica's fourth novel, EVERY LAST LIE, for two reasons. 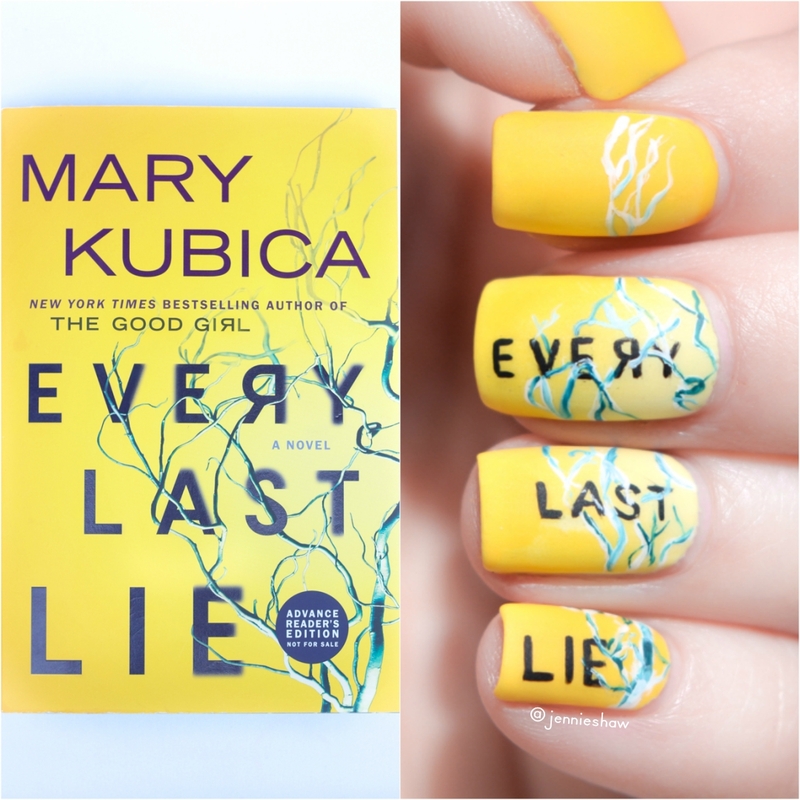 One, because I've read her previous three thrillers and each one was better than the last, but two (and most importantly) because it had a cover I could paint (each preceding one had faces and I'm awful not so great at those). I begged for an ARC and my prayers were answered by the lovely folks at Harper Collins Canada, who tracked one down for me to devour. Which I did. Swiftly. And now I'm psyched to tell you all about it (without spoilers, obviously). Before I get into the nitty gritty of what I felt worked well in EVERY LAST LIE, I want to start with a blanket statement: Kubica's writing is bananas. I mean, it's always been great but there was some extra za za zu here. Her prose certainly has a literary edge and I had to look up a few words (always a humbling experience, haha), but there's a beat. A rhythm. A pulse. And that set the pace, grounding me in the story so I could submit to the experience of reading about Clara and Nick from page one, onward. Cover art by Sean Kapitain and Erin Craig. The superb quality of writing made Clara's search for clues authentic, because Clara herself, felt authentic. She wasn't a detective or police officer, and had no previous experience with haphazard investigations, which meant that her discoveries didn't chart a steady course. So many clues were dismissed as quickly as they came, while others hit dead ends only to return later, more suspicious than ever. It was awesome. I felt like I was along with Clara for the ride, like I was actually the one sleuthing my way through the evidence. Well, except for the postpartum haze. And also the stress of having a parent with dementia. In addition to consoling a terrified toddler who keeps repeating spine-tingling phrases. Gah! So much craziness! I did have a couple of moments where I was taken out of the story, and unfortunately, they were all in Nick's chapters. For me, Clara's strong voice and frantic energy overshadowed Nick's stiff POV, and it cut the tension. Maybe it was because his story had already happened, but his viewpoint felt like a lot of telling and not enough showing, which made it a challenge to connect. 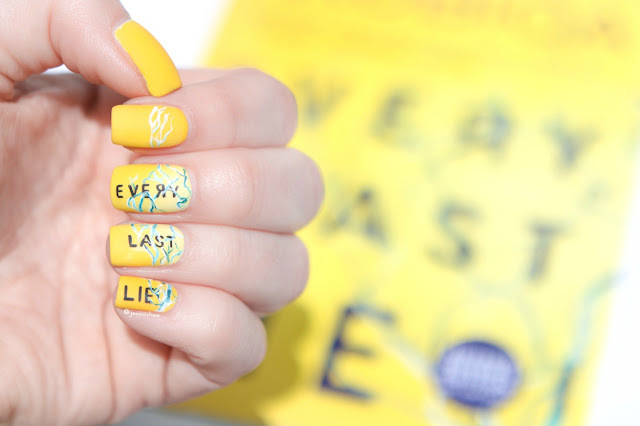 That said, I still really liked EVERY LAST LIE. In fact, I'd argue that Kubica rules the genre of realistic domestic suspense. There's very little violence and instead, the character-based plot explored Clara's mind--the lenses through which she viewed the world. So if you're into suspecting your neighbours of burying a body, or wondering if the crossing guard who helps your kiddos has a penchant for identity theft, EVERY LAST LIE is the book for you! And you won't have to wait long because it comes out next Tuesday, June 27th! Woot! Big thanks to Harper Collins Canada and Harlequin for a review copy!